Here are the dates and information for some of the upcoming seminars, workshops, etc. with Shidoshi Miller. Unless otherwise noted, the fees listed are only for the training. Participants are responsible for their own lodging, meals, and travel. If you need help with finding a hotel in our area, feel free to contact the dojo at 570-988-2228. Here is a brief list of a few of the upcoming training events (seminars, bootcamps, etc.) with me over the next several months. During this 3-day intensive, I will be focusing on effortless movement and using a special timing that will allow you to trap your opponent with your taijutsu and strikes. Other skills included in this bootcamp include; Happa techniques (not just using "Happa-ken"); stabbing kicks; 4 directional shoulder dislocations; using breakfalls for attack, defense; and escape; and the concept of sutemi ("sacrificing" to turn a failing technique around to your advantage); and a lot more! We will also be exploring the 5 levels of Randori practice, as well as unique training drills that I use to help students gain a greater level of skill proficiency, much more quickly. The material presented during this bootcamp intensive is a part of the Module 4 (Intermediate 2) skills within the Warrior Concepts curriculum (Bujinkan shodan and higher). Seminar fee does not include accommodations, food, or transportation. Training begins at 10am Friday, February 3rd and ends at 5pm on Sunday. Join fellow Ninjutsu students from the US and Canada as we explore the realm of the Shinobi Warrior. During this intense weekend, we will be exploring the concept of using weapons to improve our Ninpo-taijutsu unarmed combat skills, with a special focus on the rokushaku-bo (6' staff) and shoto (short sword). We will also be exploring other skills specific to Ninjutsu, including stealth movement, metsubishi (sight removers), as-well-as the Ninja's Goton-Po (methods of escape and evasion). As always, Ninja Camp has something for beginners, intermediate, and advanced students. Camp is also open to anyone, 14 and older, regardless of experience, rank, or affiliation with WCI or the international Bujinkan dojo. Register now and save up to $100 off the regular cost of Camp. Join me for one or two weeks of training in the land of our Ninja ancestors! During this training trip, you will be not only getting in lots of training with Soke Hatsumi and several of the senior Japanese master-teachers, but also traveling around the country to explore many of the sites that are significant to the history of the martial and philosophical lessons that have been passed down to us. Travel will take us from Noda-shi, just north of Tokyo where we will be doing much of our training, to places like Togakushi (modern name for Togakure) mountain (where you will walk the Shrines dedicated to the "myth of Togakure") as well as visiting the Ninja Museum which stores many of the weapons, etc that Hatsumi sensei inherited from Takamatsu-sensei. You will also be visiting Kyoto where you will visit an ancient dojo that has been in existence since the time of the Shogun; Buddhist temples related to our Mikkyo "secret teachings"; as well as visiting a castle that houses a real "Nightingale Floor" created by one of our Ninja ancestors! I am still gathering all of the information and making the currency adjustments for this years trip. However, if you are interested in getting in on either this trip, or the one that I will be leading in the Fall of this year... use this link to get on the Priority Notification list, and be kept up to date on all of the details as they become available. This intensive, 3-day bootcamp covers not only the requirements for those students working through the 5th and final training module leading to Shodan, 1st degree Black belt in the Warrior Concepts Black Belt Mastery program, but also focuses on preparing students for the training in the Mastery levels after Black Belt. Topics include: Single-legged kamae from the lineages; seamlessly combining taihen skills (i.e. rolling to leaping, etc. ); full-speed evasion; spontaneous throw counters; san-uchi "3-strike" principle; kick combinations; "attack-crushing"; and muto-dori taihen ("defending unarmed against blades and other weapons"). 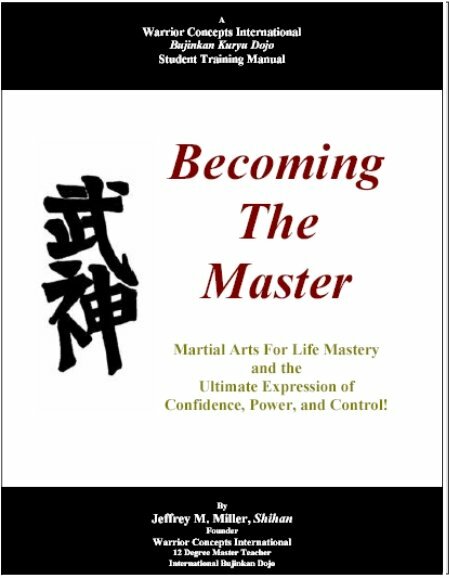 (The material taught in this module is roughly equivalent to the shodan - yondan rank levels in Japan). The material presented during this bootcamp intensive is a part of the Module 5 (Intermediate 2) skills within the Warrior Concepts curriculum (Bujinkan shodan and higher). There will also be a special session on running a successful training group! Seminar fee does not include accommodations, food, or transportation. Training begins at 10am Friday, February 3rd and ends at 5pm on Sunday. PS - Want to know how to save 50 - 100% on many of the above training opportunities? Students enrolled in my "Inner Circle" online training and Musha Shugyo programs get either deep level discounts or actual seminars and bootcamps included absolutely free as a part of their membership. To find out more about these intensive online distance learning programs, send an email with the words "Inner Circle" in the subject line. If you reply within the next 3 days, I will respond personally and include a complimentary tele-coaching class where I will help you with any training challenges that you are having. Just click "reply" to send me the email with your name, age (you must be at least 18), and request for more information regarding these programs. Did you grab my new Advanced Sanshin /Kihon Happo" Home Training Course yet? If you're looking to master the Ninja's unarmed combat method for real-world, modern street self-defense, this is it. Check it out here.